IAF Wing Commander Abhinandan didn't break, share military info despite Pakistani "interrogation"
New Delhi: Wing Commander Abhinandan Varthaman staved off Pakistani interrogators trying to extract crucial information on Indian troop deployment, high-security radio frequencies and sensitive logistics during the first 24 hours of his captivity in Pakistan after his MiG-21 Bison was shot down in a dogfight over the Line of Control, according to a senior officer debriefing the 35-year-old fighter pilot. Varthaman was captured by Pakistani forces after he ejected from his plane when it took a hit on February 27 as Pakistani jets tried to target Indian military installations in the Rajouri sector a day after Indian Mirage-2000 jets bombed a Jaish-e-Mohammed terror camp at Balakot in a cross-border airstrike. 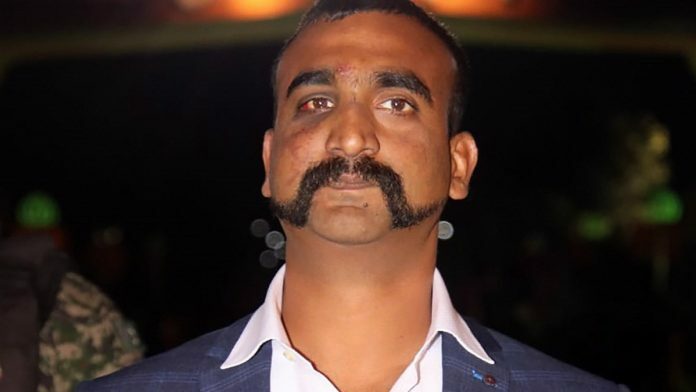 The official, who is part of a team debriefing Varthaman after he walked back into India across the Wagah border on March 1, said the Wing Commander was deprived of sleep, choked and even beaten up by his captors in Pakistan. During his captivity, Varthaman was made to stand for long hours and subjected to loud music to increase his discomfort, the official said, requesting anonymity. He added that as Pakistani officers tried to extract information from him about the frequencies that the IAF uses to transmit messages, deployment of fighter jets and logistical arrangements, Varthaman held back. All Indian fighter pilots are taught to hold back for as long as possible when captured, so that transmitting frequencies and deployments can be changed in the first 24 hours to deny the adversary any advantage, the officer said. “Wing Commander Abhinandan did exactly that,” the officer said. At least three to four separate teams comprising a select group of officers are debriefing Wing Commander Varthaman on various aspects of his captivity. During the 1999 Kargil conflict, Pakistani troops captured Flight Lieutenant Kambampati Nachiketa after his MiG-27 fighter jet was hit by a Stringer missile. He faced severe torture in Pakistani custody before being returned to India eight days later. An official report on his captivity said interrogators fired shots close to his feet to extract information. In Varthaman’s case, however, India’s strategic position globally appears to have helped the case, the official said. As global diplomatic pressure began mounting, Pakistan’s treatment of Varthaman changed. Apart from Indian diplomatic efforts to build pressure, the US, UK and Saudi Arabia are understood to have spoken to Pakistani authorities following bilateral tensions in the wake of a suicide bombing in Kashmir’s Pulwama that killed 40 personnel of the Central Reserve Police Force (CRPF) on February 14. Pakistan-based Jaish-e-Mohammed claimed responsibility for the attack, following which India said the neighbouring country was harbouring terrorists and their supporters. On the day of the dogfight over the Nowshera sector that led to the downing of Varthaman’s fighter jet, Pakistan also deployed two other packages north of Srinagar and south of Akhnoor, a senior IAF official said on condition of anonymity. According to the IAF’s initial assessment, Pakistani JF-17s were deployed near Srinagar and a package of Mirages flew near Akhnoor. “The launch of multiple strike packages was to confuse and tie down our resources,” the senior official aware of the IAF assessment said. The two packages, however, did not cross the LoC, the officer added. The assessment shows that the Pakistan Air Force fired at least two US-made advanced medium-range air-to-air missiles. The official said that while the missiles, which can be fired only from the US-made F-16 fighter jet, puts India at a disadvantage, the capability to fire Meteor missiles – beyond visual range air-to-air missiles — would have discouraged the three-pronged attack planned by Pakistan. If only the UPA and the current NDA government paid a little attention towards the requirements of the IAF and the delaying projects, Pakistan wouldn’t even have dared to do something like this.